I found the material in this module thorough, thought-provoking and beneficial. I would recommend it to anyone exploring how to hear from God through their dreams. Module 3 has been most challenging yet most insightful. There are many examples to help one understand dream interpretation and assignments that give one practical application of lessons learnt. Great course. This is a very important and educative Module! 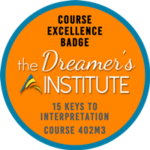 In this 3rd Module, Rev Lyn really addresses some very important clues and guidelines, even for people who have some experience in dream interpretation. In one of the lessons, she spoke about “Cultural” classification of dream elements. This is very helpful and informative for anyone who is connected to different people from different cultures. Also, the lesson on dream application is very helpful as this is a very common mistake for dreamers. God bless you Rev Lyn for this module! 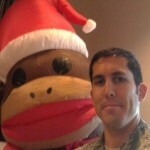 Great challenging assignments that give you an opportunity for self examination! This really helps to discern Gods voice more clearly! This course was a very good methodical way to break down a dream. It approaches dream interpretation in a structured way to help avoid misinterpretation through personal emotions and situations. This course is full of information – make sure you have a pen and paper ready!